When it comes to holiday decorating, most of us reuse our old, reliable holiday lights year after year. But it may be time to update your strands and decorative pieces to light-emitting diodes (LEDs). An LED is a tiny device that uses semiconducting metal alloys to convert electricity into light. LEDs consume up to 75 percent less energy than incandescent bulbs and are one of the most energy-efficient lighting choices available. LEDS also have a much longer lifespan and produce far less heat, which helps reduce the risk of fires. Buy holiday lights with the mark of a safety standards testing lab, such as UL (Underwriters Laboratory), ETL (Electronic Testing Lab), or CSA (Canadian Standards Association). Read packaging to determine the maximum number of strands that should be strung together. When decorating outdoors, keep yourself, your ladder, and decorations at least 10 feet from overhead power lines. Don’t use staples or nails to hang light strands. Don’t hang strands on metal rain gutters, railings, or chain-link fences. 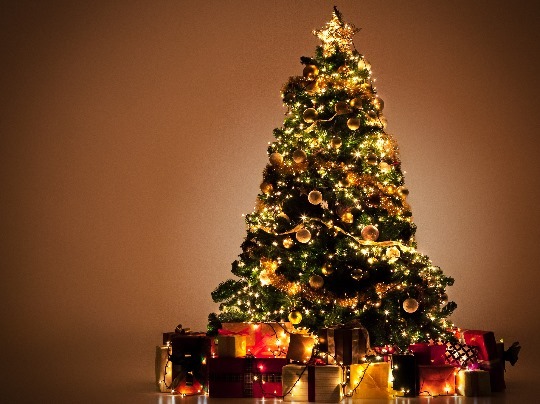 To prevent electric shock, never use electric lights on artificial trees with metallic needles, leaves, or branches. Consider using ENERGY STAR®-certified decorative light strands, which use 75 percent less energy than traditional incandescent light strands. Shannon Tangonan is a spokeswoman for Hawaiian Electric Company, a position she has held for two years. Safety – for both customers and employees – is a top priority at the Hawaiian Electric Companies – Hawaiian Electric, Maui Electric and Hawaiʿi Electric Light. Prior to joining the utility, Shannon was an editorial writer at the Honolulu Star-Advertiser.